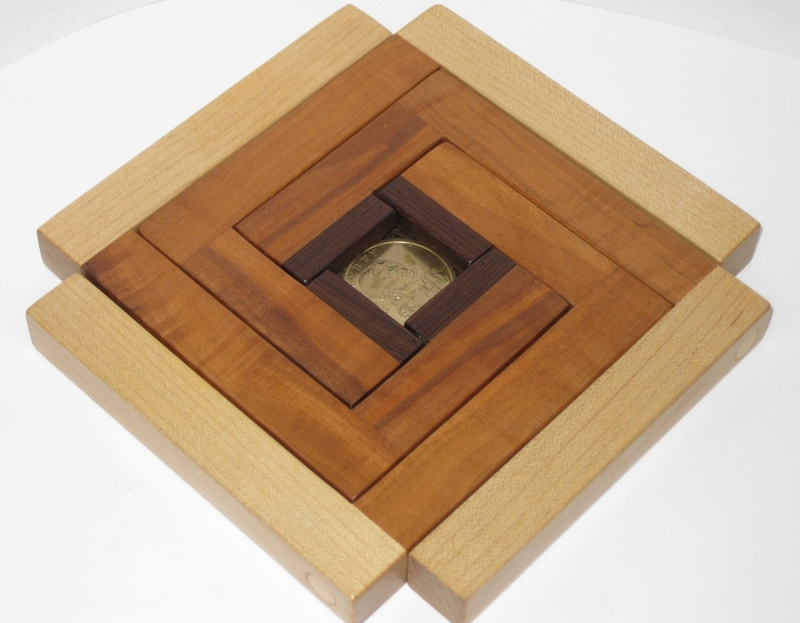 Quite some time back, I reviewed the Caged Coin puzzle by Bill Sheckels. Not long after I reviewed it Bill got in touch to say he had a few other new puzzles that were going to be added to his Etsy shop soon, and asked if I'd be interested in any of them. They looked interesting, so of course I said yes. When you pick the puzzle up, there's enough flex in the pieces to make you think that there may be a way to manipulate the cage so that it will pop apart, releasing the coin. I certainly don't recommend this, as it's not the solution, and will likely damage your puzzle. There's a much more elegant solution. The solution is pretty simple, and I doubt it will take many people long to solve it, but it's a nice object that has that look of impossibility about it that tends to draw people in. 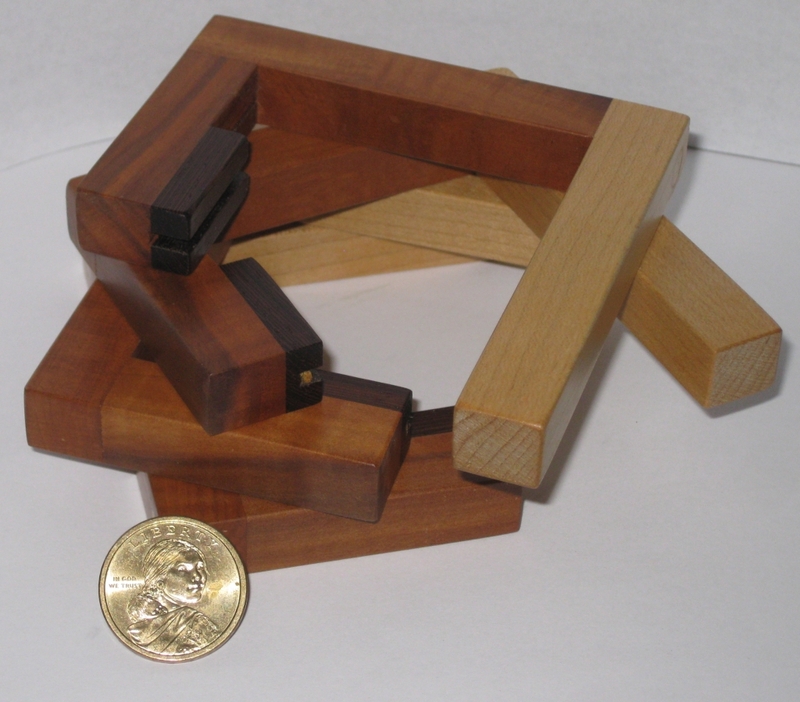 Great as a gift, and a fun puzzle to have sitting around.